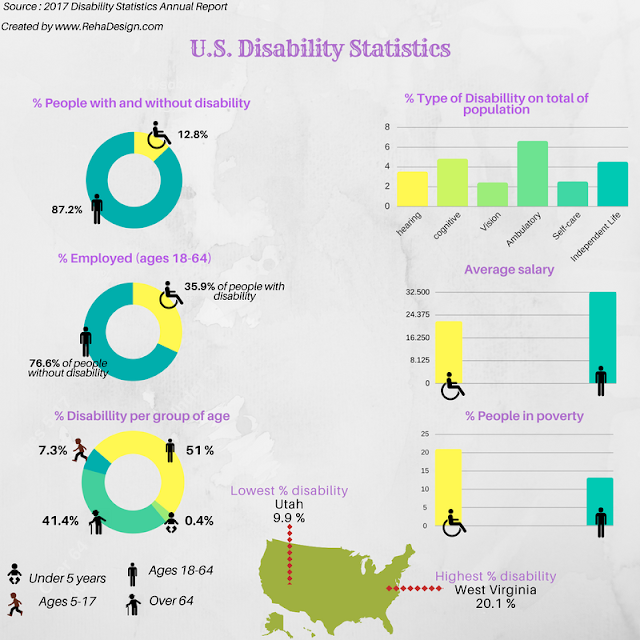 People with disabilities are more likely to live in poverty than people without disabilities. (20.9% are in poverty compared with 13.1% of able bodied population . Medical scientists are developing treatment for disabilities ( for example stem cell therapies). However this needs time until it can make a significant impact. In the mean time policy makers must develop solutions for improving the quality of services, reducing the level of poverty, and improving the salary and the employment of people with disabilities. Did you like this article? Would you like to share this information with your friends? If yes put like and share the article.